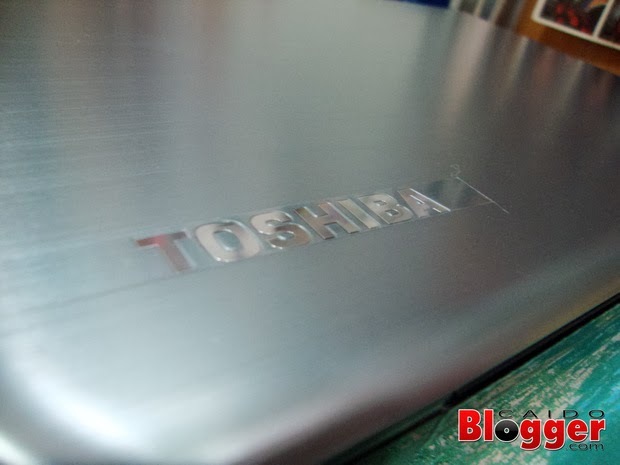 Last week, a colleague asked me to accompany her to buy a Toshiba laptop (Satellite L40D-AS100G) for her son at my favorite local PC store Enigma Pangasinan branch but it was already out of stock. 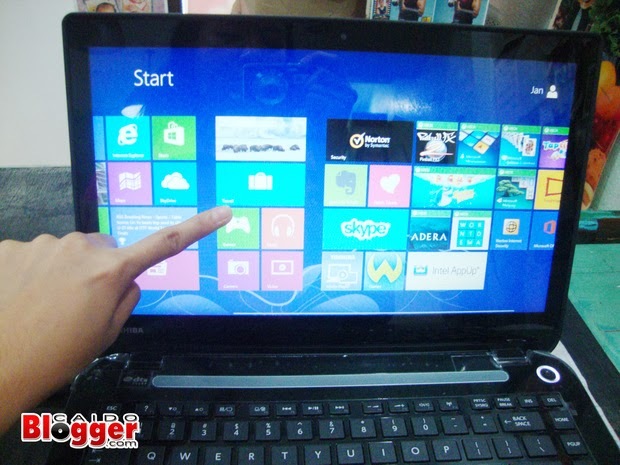 So we have to choose from the available stocks with same or better specs within the same budget range (25-27K). 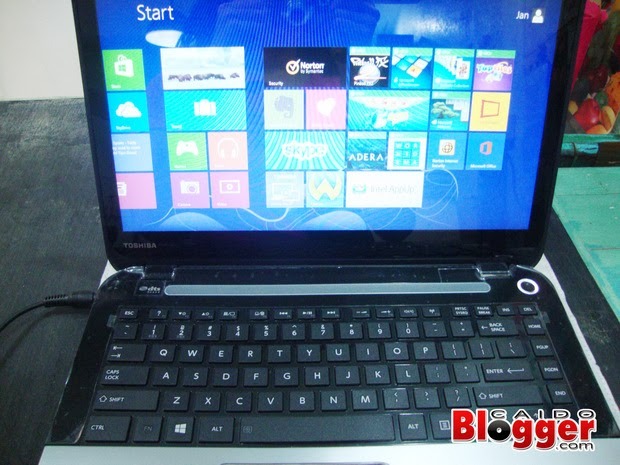 And what we found: Toshiba Satellite S40DT-AS100. 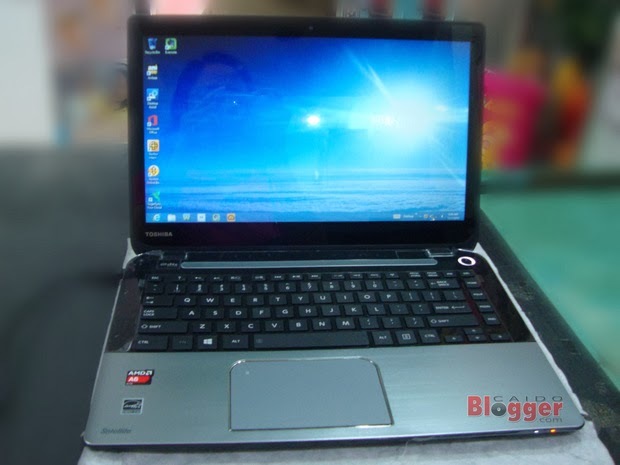 Toshiba Satellite S40DT-AS100 is a 14-inch notebook PC with Multi-touch display powered by AMD Dual Core A6-5345M APU with Radeon HD 8410G, 4GB RAM, 500GB hard disk running with Windows 8 Single Language. 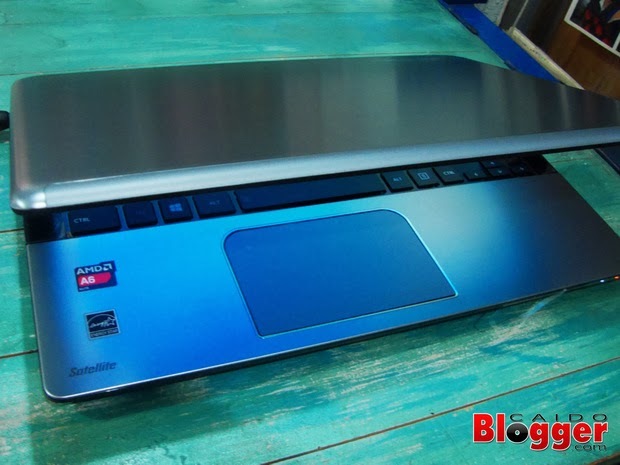 This notebook PC weighs 2.15kg and comes in metallic silver color. Its SRP is Php29,750 but as a loyale member, they gave a discounted price of P27,000. 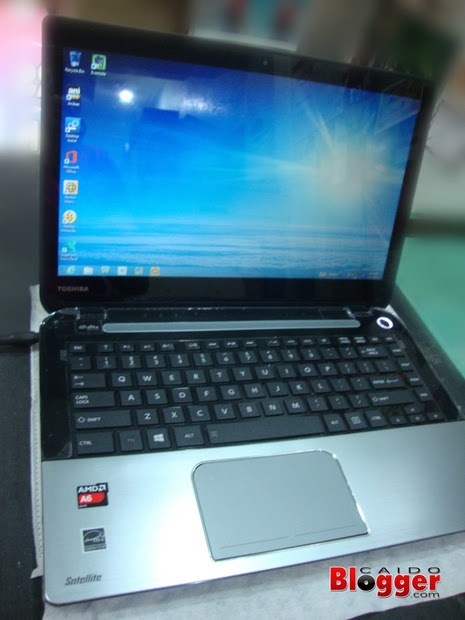 Toshiba Satellite S40DT-AS100 has built-in HD web camera with microphone and Toshiba SmartFace™ Technology, Onkyo® Stereo speakers enhanced with DTS Sound™, DVD SuperMulti double layer drive and lithium ion prismatic battery. With such very nice specs on a discounted price, we happily purchased it. Unfortunately, one great issue was discovered on the unit that we purchased after getting home: it was not charging! When we tested it on the store (plugged on an outlet), we thought everything's OK so we purchased it. But when tested at home, it will not turn on unless you plug it on the outlet. 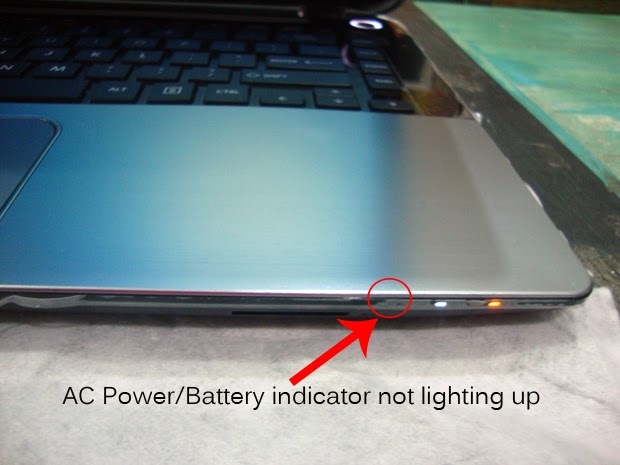 And when plugged in, on the status bar, it says that the battery is 0% (plugged in, not charging). 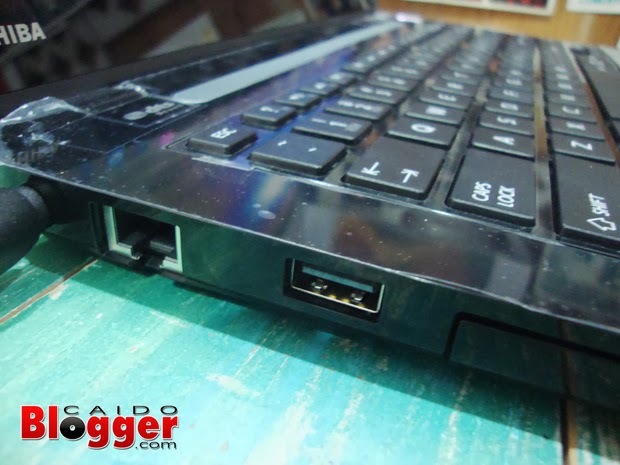 Once pulled from being plugged, it immediately shuts down. Eek! So the very next day, the unit was brought back to the store. Since the unit was their only stock, they promised to look from other branches for a replacement. My colleague said that her son was so disappointed. I'm a bit disappointed too because I recommended it to them but it turned out like this. ;( Hopefully the replacement will arrive this week, or the soonest possible.